So anyway. Having a third child at 40. Well, you kind of just go with the flow with everything. Now I would have to assume that the kids are pretty much the same. the world is crashing in around him and going to come to an abrupt stop. Now these reactions could stem from any number of things. Now Garrin is a whole different breed, man. When I say he just goes with it....I mean he just goes with it. puke in the toilet, nice and neat, until he is all done. Sometimes with a smile. when he starts puking. It's all over for him, by that point. 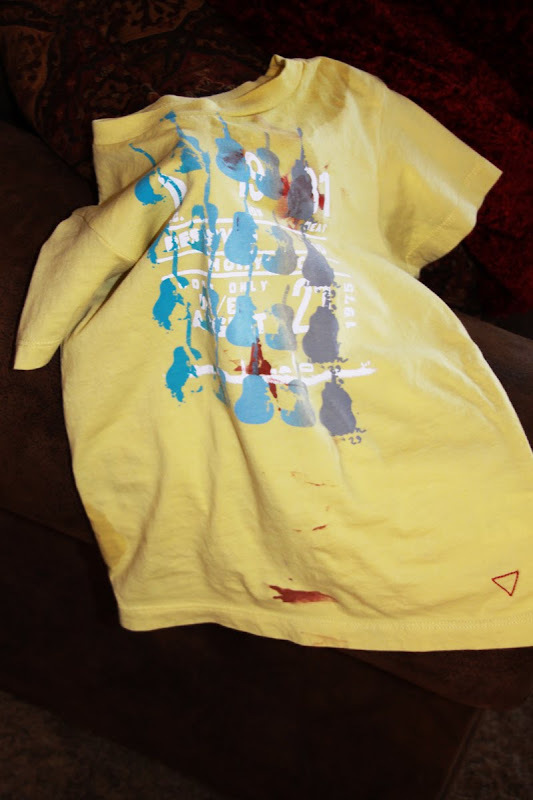 to school, when out of the bathroom walks Garrin....covered in blood. for some help. No crying, No screaming....we actually had a conversation..
Got him all cleaned up. Threw on a clean shirt. Loaded up in the car. He is quite the trooper....seriously. is ruined. Hope I can get all the blood out! It is GOOD to go with the flow!!! soak it in ice water. That's what I do with Tyler's shirts. 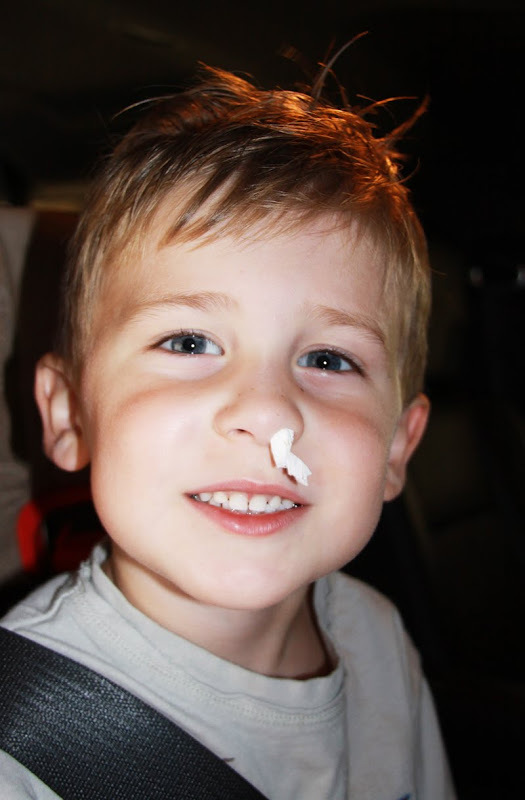 Tyler has tons of bloody noses, all due to allergies and his nasal spray. Isn't it funny how three kids can turn out so differently! I love his little personality.